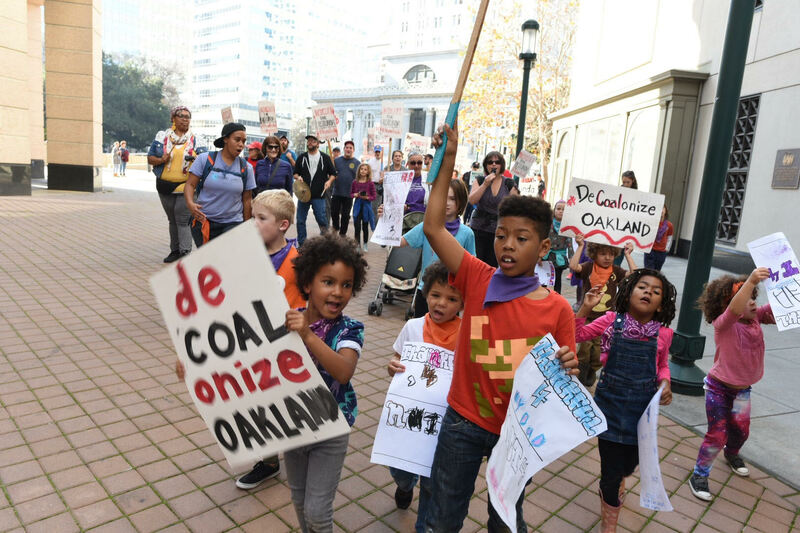 We are residents of Oakland, California and allied communities as well as labor, faith, environmental justice, and community organizations that oppose the construction of a coal export terminal on our publicly-owned waterfront. We have learned that the Bank of Montreal is raising funds to build this terminal, which would endanger the health and safety of the West Oakland community and — by enabling the burning of coal for decades to come — the health and safety of people around the world. This project was conceived without the knowledge of Oakland residents for the benefit of Bowie Resource Partners (recently renamed Wolverine Fuels), a coal company with mines in Utah. In committing to raise $250 million to fund the project, the Bank of Montreal violated the Equator Principles to which it is signatory by evading the required engagement with our community and failing to require a full accounting of the coal terminal’s local and global environmental consequences. We ask that the Bank of Montreal honor the Oakland City Council’s ordinance prohibiting storage and handling of coal anywhere in the city. We call on the Bank of Montreal to publicly pledge that the Bank and its subsidiaries will refrain from advising on or arranging financing for the proposed terminal. Please fill out the form and click the “Sign Letter” button to add your signature to this open letter. This form collects individual signatures only; organizational signers, please scroll down. If you are not already on the NCIO Updates mailing list, your signature will be added to the letter after you confirm your e-mail address by clicking a link in a subscription message that will be sent to the address you entered (you can unsubscribe from this low-volume list anytime). If we already have your address, no confirmation e-mail will be sent. Signers names will be published on the No Coal in Oakland website and may be published elsewhere. E-mail address and zip code data will not be published. The form on this page collects signatures of individuals only. If you wish to sign on behalf of an organization, please use the Organizational Signon Form instead (clicking the link opens a Google Form in the google.com domain, not on this site; No Coal in Oakland will receive data submitted through the form).